Billionaire investor George Soros is fighting back against a government campaign being waged against him in his native Hungary. The Hungarian government extended the deadline for sending back the “National Consultation” questionnaire about migration and the so-called Soros-plan. The billionaire recently refuted in detail the statements of the government campaign, and even sent a video message in Hungarian. The Hungarian government has extended the deadline to send back its “National Consulation” questionaire about migration and what it calls the “Soros plan”. The survey suggests that billionaire investor George Soros is planning to flood Europe with up to one million migrants a year. 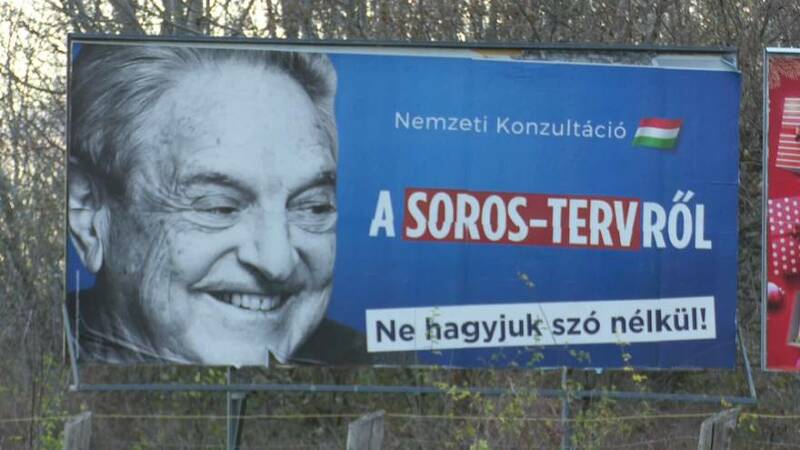 Soros pushed back in a video message recorded in his native Hungarian. He called the national consulation an “intenational distortion” of his views and said it was designed to distract voters from government corruption and poor public services. Csaba Csontos, spokesman for Soros’ Open Society Institute in Bucharest, said Soros was speaking to show solidarity with his Hungarian colleagues but OSI would not try to compete with the government campaign. “It is evident that we will not spend billions on a communications campaign,” Csontos told euronews. “We spend our funds on worthwhile causes. We are not doing marketing, we will communicate with the population as we have always done – through the media”. The government says the questionaire will help gauge public opinion on important issues. But rights groups have called it “hatemongering propaganda”. According to the government, some 1.7 million questionaires have already been returned.